Alan E. Nourse, M. D. was born in Des Moines, Iowa on August 8, 1928 and died in Thorp, Washington on July 19, 1992. He was a science fiction author and physician, writing both science fiction stories and novels with a medical bent, as well as numerous non-fiction books on various medical subjects including herpes, AIDS, and viruses. 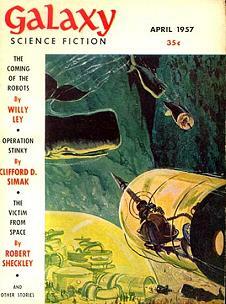 His story "The Coffin Cure" appeared in the April 1957 issue of Galaxy, and aired on X Minus One on November 21, 1957. "The Coffin Cure" deals with the unintended consequences arising from a time when a cure for the common cold virus has been found. A prime example of extrapolating one element, or idea, and following it to its logical (and in this case medical) conclusion, "The Coffin Cure" holds a warning as timely today as it was when written over fifty years ago, especially in this time of the H1N1 (swine or pig, as it is generally known) flu virus so much in the news today. While Nourse is not a name familiar to many of today's science fiction readers, he was well known for his work during the 1950's through the 1970's, though he continued to write into the 1980's. Robert A. Heinlein dedicated his 1964 novel Farnham's Freehold to Nourse, and his 1982 novel Friday to Nourse's wife, Ann. 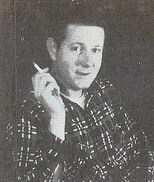 Longtime friend and Tangent Online reviewer Steve Fahnestalk, himself a longtime friend of the late Avram Davidson and Alan Nourse, relates that Nourse was in fact Davidson's doctor, and that one of his prized possessions is a prescription vial of Avram's prescribed by Dr. Alan E. Nourse. We hope you enjoy this intriguing SF tale grounded in medical science, a bit of solid extrapolation as only a doctor well-read in the cutting edge theories of the time could realistically imagine it, based on the knowledge of viruses from half a century ago.